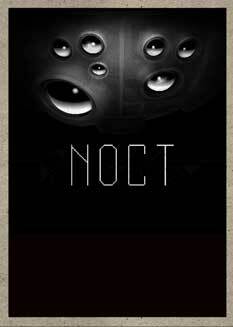 Noct is a 2D top-down multiplayer survival horror game that blends arcade combat with RPG survival elements. You are a survivor of the apocalyptic purge that formed the desolate wasteland now know as Noct. ​Once our home and record of modern civilization, the Earth is a ruined wasteland engulfed in perpetual darkness. Older than any recorded texts, an ancient evil descended upon our world without warning, consuming the population and leaving only despair behind in its wake. The unfortunate survivors of this purge now struggle to overcome the horrific terrors of the Nocturnal. Noct is a 2D top-down multiplayer survival horror game that blends arcade combat with RPG survival elements. You are a survivor of the apocalyptic purge that formed the desolate wasteland now know as Noct and view your experience in the world through a thermal image satellite system high above the Earth.